Getting the correct answer is not the main goal in James Yoos’ Quantitative Chemistry class at Bellingham High School. 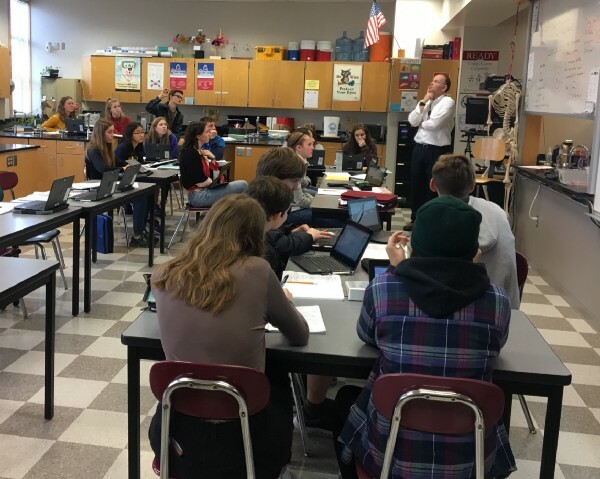 On a recent Tuesday morning, as students learned about trends of the periodic table of elements, he told his classes that he was more interested in why they arrived at their answer. Yoos, the 2010 Washington teacher of the year, backs up this philosophy with action. He has built a culture in his classroom that it’s okay not to have the right answer, to struggle with the material, and to turn to classmates for help. During large class discussions, Yoos often responded to one student’s comment by asking another student to add on or reflect about what they heard. “I want us to arrive as a class at common thinking around these trends,” Yoos said. 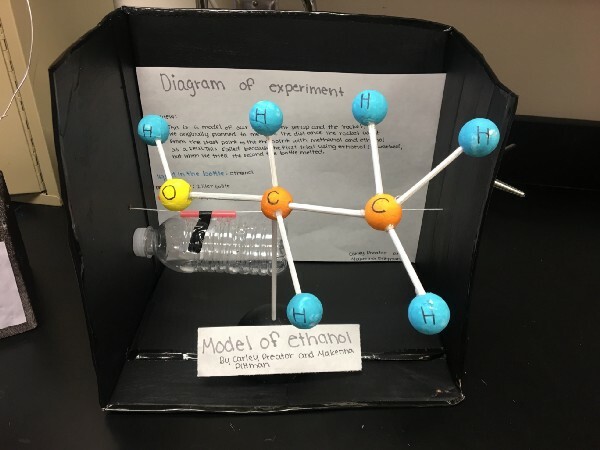 The student-centered, inquiry-driven approach that Yoos uses comes in part from the Washington State Science Learning Standards, which the state adopted about five years ago (and are also known as the Next Generation Science Standards). He was an early proponent of the standards. 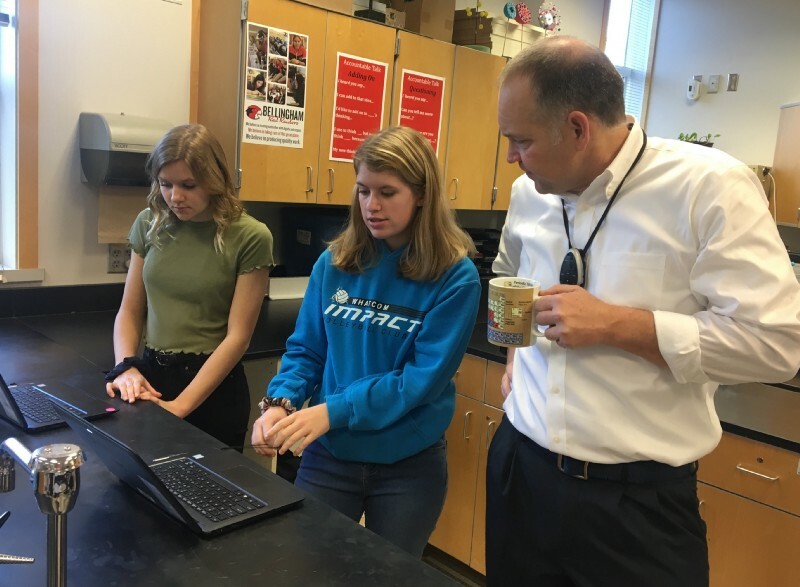 As the first bells rang and students trickled into Yoos’ classroom, students began the class by turning in projects that summarized their thinking from the first two units of the course. Many of these models included colorful foam balls and wire rings shaped to look like atoms. Then, they dove into their work examining periodic table trends. Yoos started with a digital formative assessment with several multiple-choice questions to gauge students’ current knowledge about the new topic areas. The class reviewed their collective responses — though not which answers were correct, as students would arrive at those through their work together — so everyone knew areas that needed additional learning. “Hopefully we’ll clarify over the course of the class,” Yoos said. Students then moved into small groups of three or four to prepare for informal presentations answering one of several questions. While students worked, Yoos walked around the room answering questions (oftentimes with follow-up questions), his periodic table mug in hand. 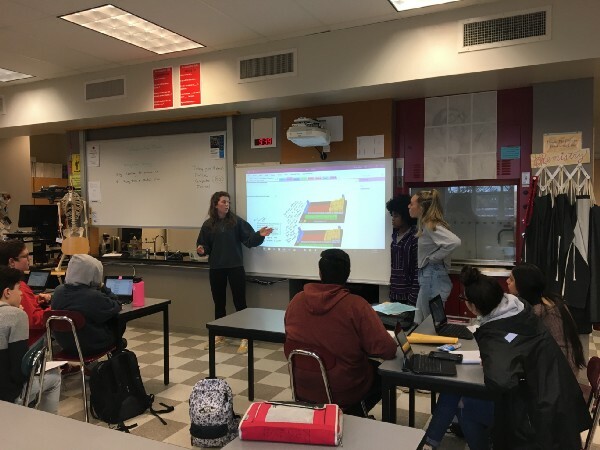 The presentations led to class discussions about ionization energy, atom size, and what happens to these trends when moving from left to right and top to bottom on the periodic table. Other students also chimed in with additional thoughts and reflections, what the class calls “accountability talk tools.” And one student offered an addition to a definition that Yoos provided, which was discussed and accepted. Supporting and challenging students to develop critical thinking and reasoning skills is foundational to the way Yoos teaches. The science standards have helped facilitate his approach that as long as students are getting curious, asking questions, and supporting their claims, the answer itself is less important. Offering a piece of advice to other science teachers, Yoos said that what students are doing and how they’re arriving at knowledge is just as important — or more so — than the content knowledge. Concepts such as patterns and cause and effect are applicable across disciplines and are critical to a scientifically literate population, he added.